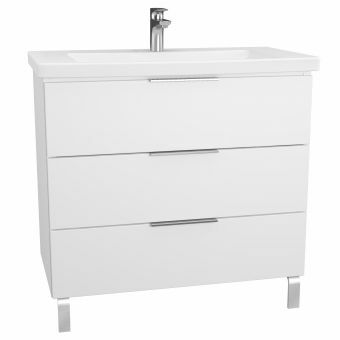 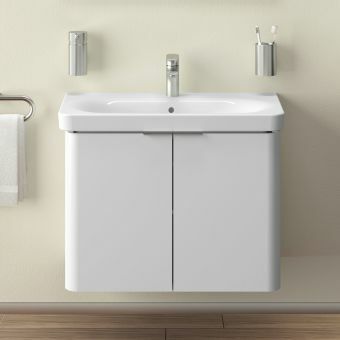 This 100cm wide 2 door vanity unit by VitrA from their award-winning Nest range is ideal for the main bathroom, or a large family bathroom. 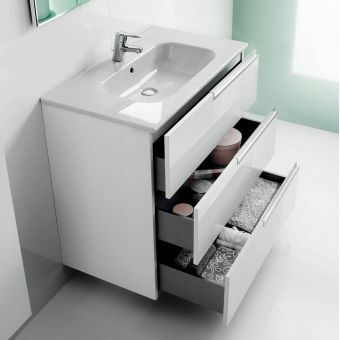 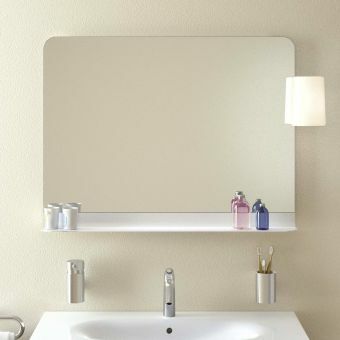 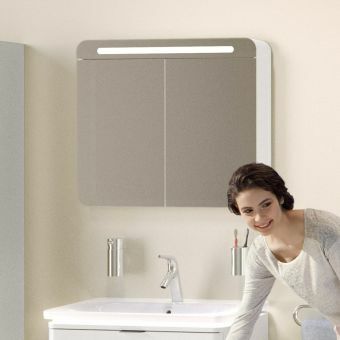 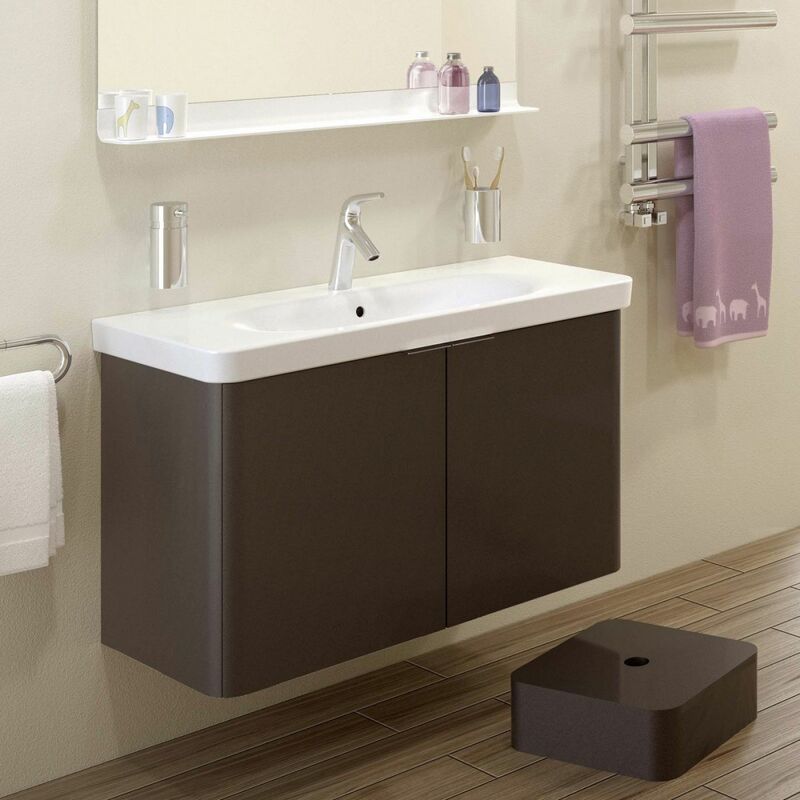 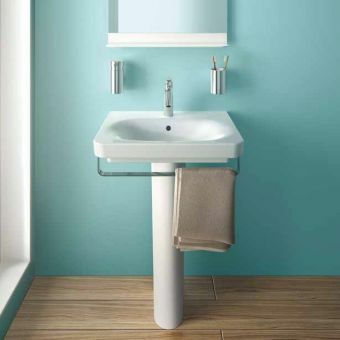 Its generous size offers lots of storage space, something which is key in keeping your bathroom neat and tidy by allowing you to conceal those everyday essentials. 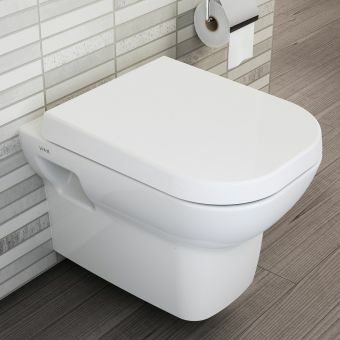 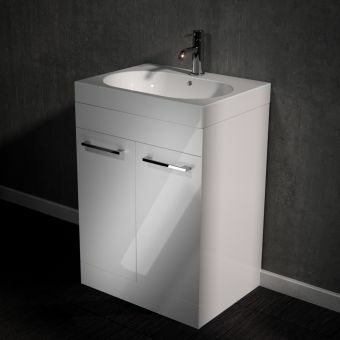 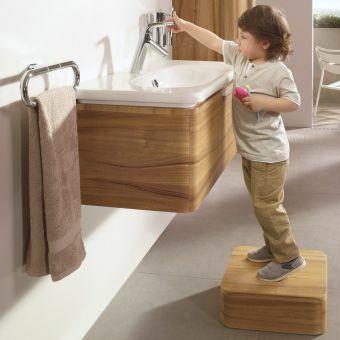 The range was designed by Finnish design House Pentagon, and the line is critically acclaimed winning iF product design and Good Design awards. 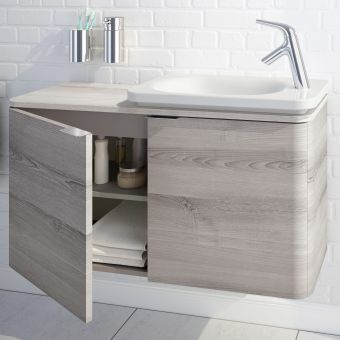 This clever range is visually pleasing and appealing to all age ranges and design lovers, with the added advantage of being great for young families with its soft round edges, slow close doors and optional child step that doubles up as a storage box. 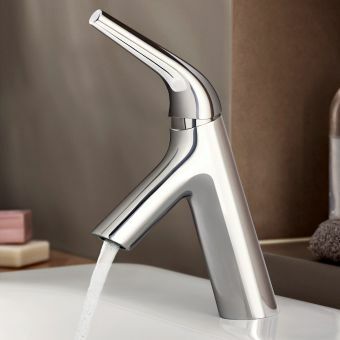 These well-engineered pieces offer much more than is presented at face value. 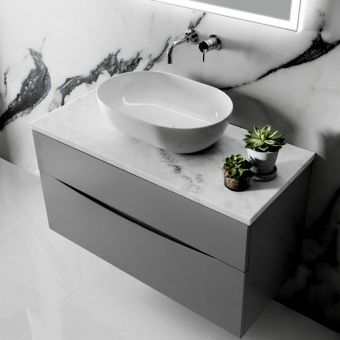 The soft cube inspired shapes are timeless and highly adaptable to a wide range of interior design styles, we would recommend the Grey natural wood for a Nordic look, or if you are looking to match the unit to other bathroom pieces you can’t go wrong with glossy white!